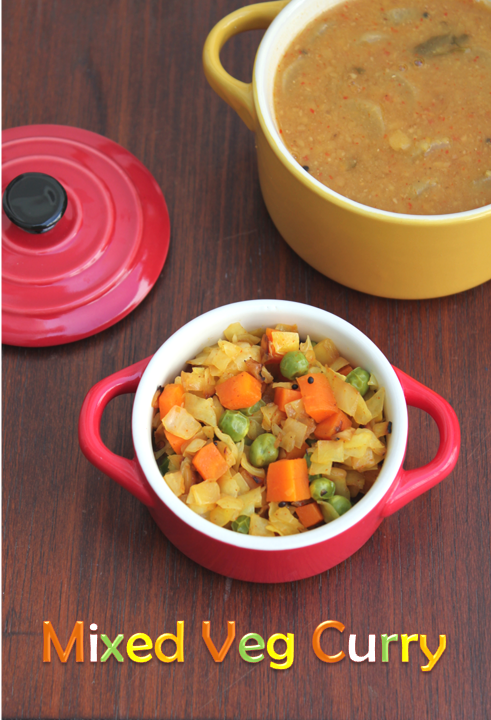 This subzi is somewhat my own recipe.It is quiet easy and simple that is why i have not given any step wise pictures.Just cut all the vegetables lenghtwise and stir fry with some masalas.You can have it with rotis and phulkas. 1.Chop all the vegetables lenghtwise. 2.Boil beans,carrot and baby corn in hot water(let it be crisp and not become too soft). 3.Heat oil in a pan add cumin seeds and fry the onions till golden brown. 4.Add tomatoes and salt fry for a minute and then add rest of the vegetables and all the powders. 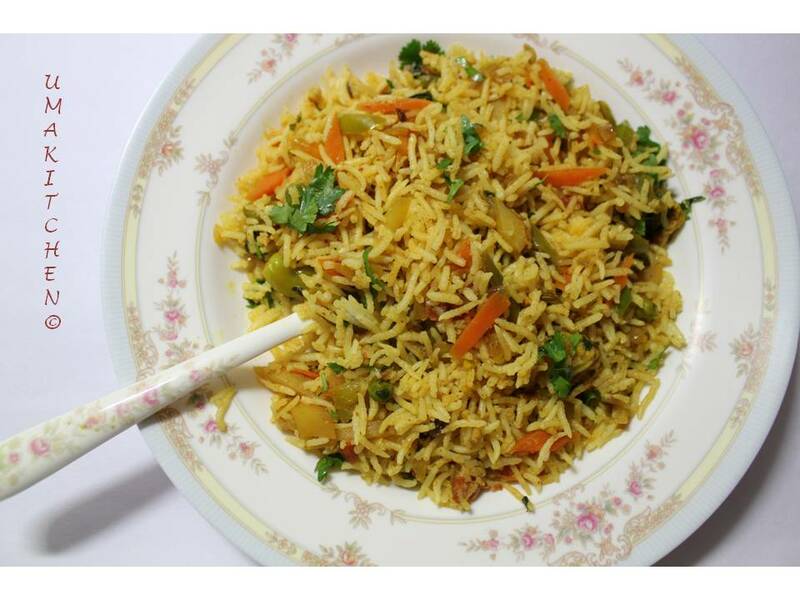 5.Stir fry for few minutes and garnish with coriander leaves. You can add vegetables of your own choice like cauliflower. Paneer is a good choice it goes well with corn and capsicum. I have added carrot and beans to increase the fibre content. 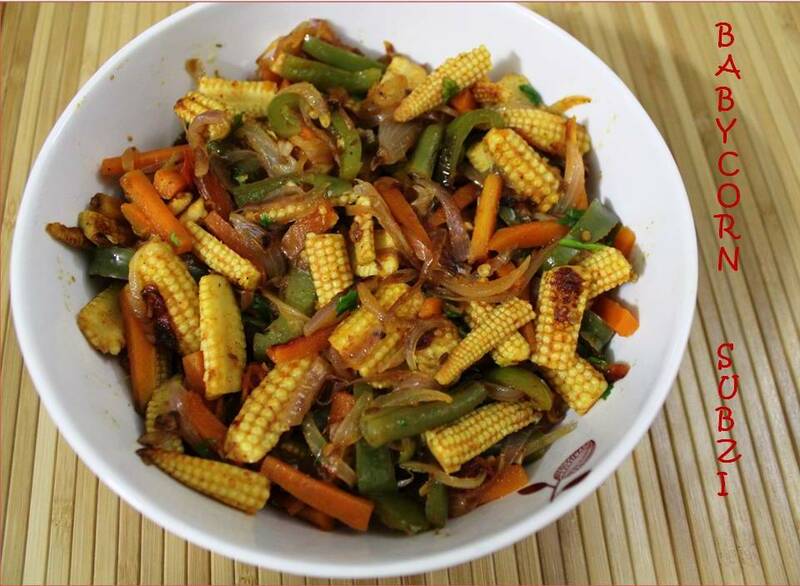 You can either boil or stir fry the vegetables,keep it aside and then use it later. I saw fresh maavadu's in mada street mylapore,got tempted and bought a small quantity.I always refer to meenakshi ammal"cook and see"book for a lot of recipes especially this because it is a traditional recipe and stays for a long time.so tried to do the way she had written,of course i adjusted the salt and chillies according to my quantity. 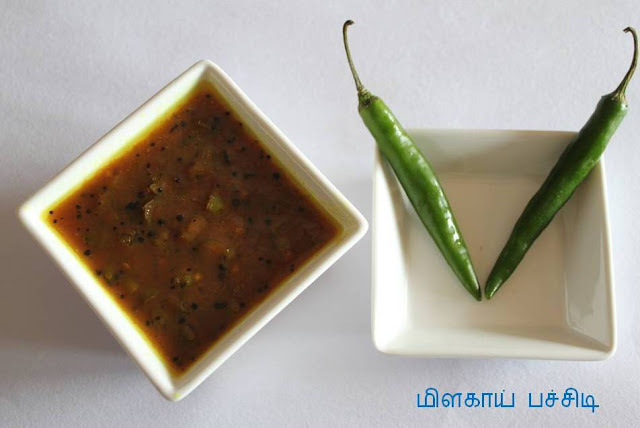 Vadu mangai or maa vadu is the most popular pickle in tamil homes.It is so easy to prepare and it can be stored even for 6 months or more.It is a perfect companion for curd rice in this hot summer.It is the first pickle prepared in the mango season because we use tender mangoes. Brinjal Thogayal or sutta kathirikai thogayal with coriander leaves.We just got bored of eating our daily routine so ended up making this kathrikai thogayal and sutta appalam with steaming hot rice. 1.Roast the brinjal on direct fire till the whole skin becomes black.You have to keep rolling it so that all sides get cooked. 2.Once the full skin becomes black remove from fire and cool it. 4.Cut off the stem and mash it up nicely. 5.Roast urad dal,red chillies in gngelly oil in a pan and when the dal becomes brown switch off the stove and add the coriander leaves and allow it to saute in that heat remaining. 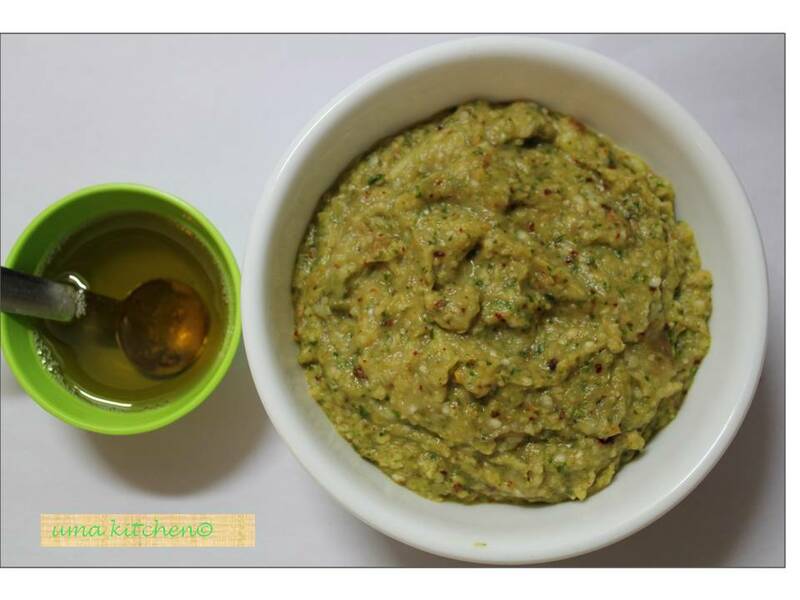 6.Grind the roasted things along with tamarind,salt and asafoetida. 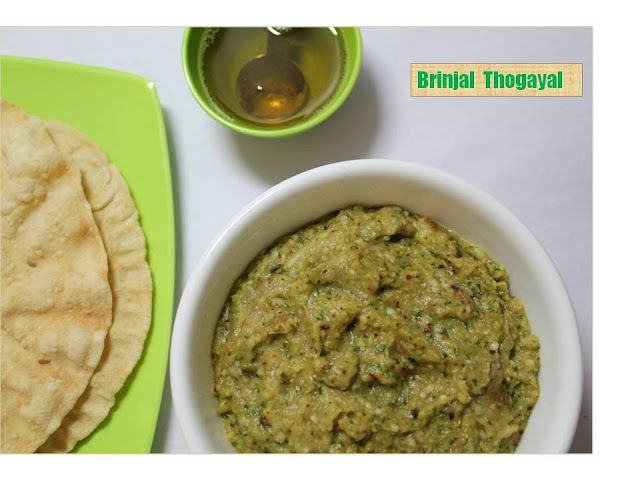 7.Add the mashed brinjal and just spin it for a second only otherwise it will become too mushy. This is my own kind of pulao.One morning when i was running short of time i tried out this method and it became a big hit.It is slightly easier than the briyani where you have to grind the masalas.It is more like a spiced rice.Let me tell you how i made this.I have used one and half cups rice which should be enough for four to five people. 1.Cut the vegetables in diamond shape(except onion,tomato and capsicum) and boil them in water.let it be crisp and not too soft. 2.Cook rice in the rice cooker with1:13/4water ratio and cool it by spreading it on a plate so that it does not stick to each other. 3.Heat oil in a pan add the things to season. (given in the table). 5.Add onions and fry till crisp and then add tomatoes,green chillies,crushed ginger and garlic. 6.Add rest of the vegetables,turmeric,chilli,masala,coriander,cumin powders and salt. 7.Add washed and chopped mint leaves and cut capsicum and fry further. 8.If required close and cook for a minute. 9.Cool, add the rice slowly and mix it well. 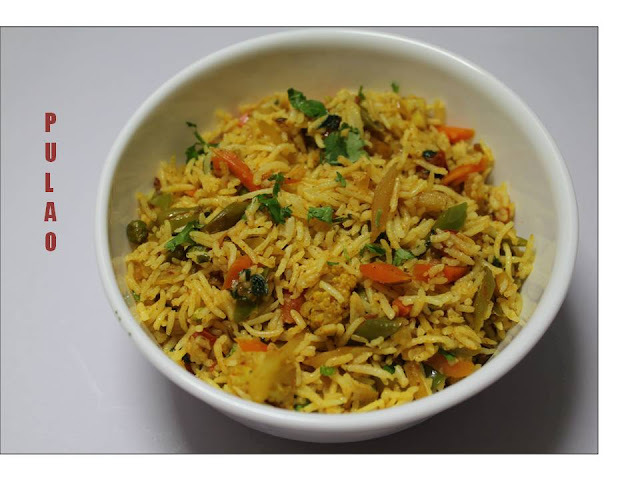 10.If required add some salt and ghee while mixing with the rice.serve with Onion raita. 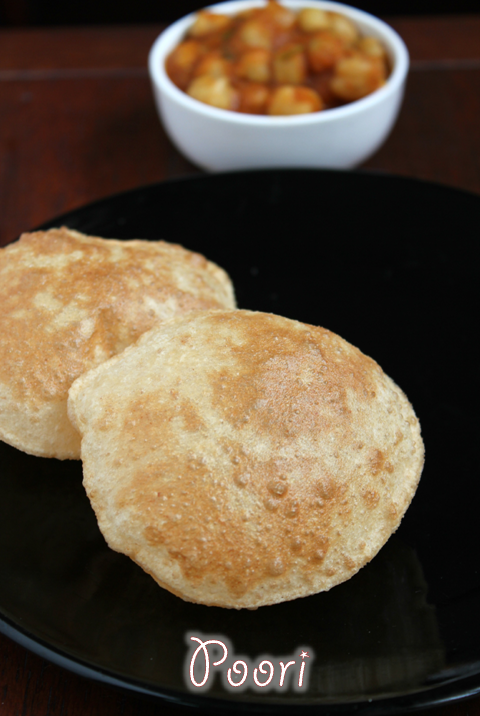 Poori is a very common deep fried Indian bread.This recipe would help people who are starting to cook.Super cooks pls excuse me.It is very similar to roti except that it is deep fried and smaller in size.It is definutely part of any Indian dinner menu. 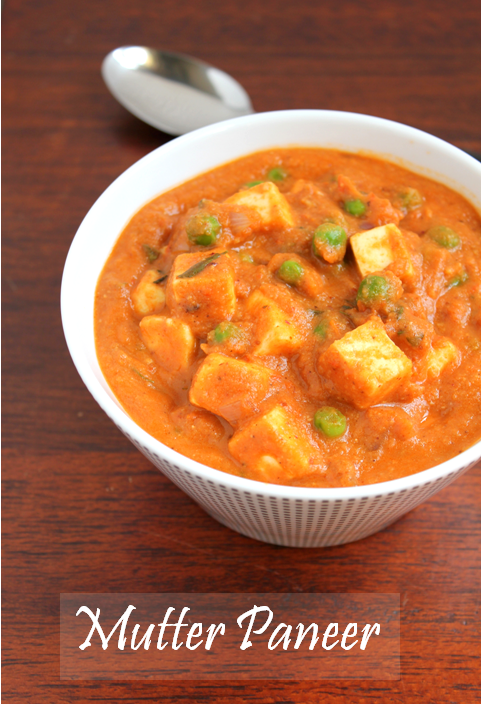 Mutter Paneer is everyone's favourite especially children.My friend used to call it as national dish of India.It is so popular and you get it in any Indian restaurant throughout the world.Even when it is so common we order it whenever we go to a restuarant.so i cannot really blame anyone!!! !It is yummy!!!! 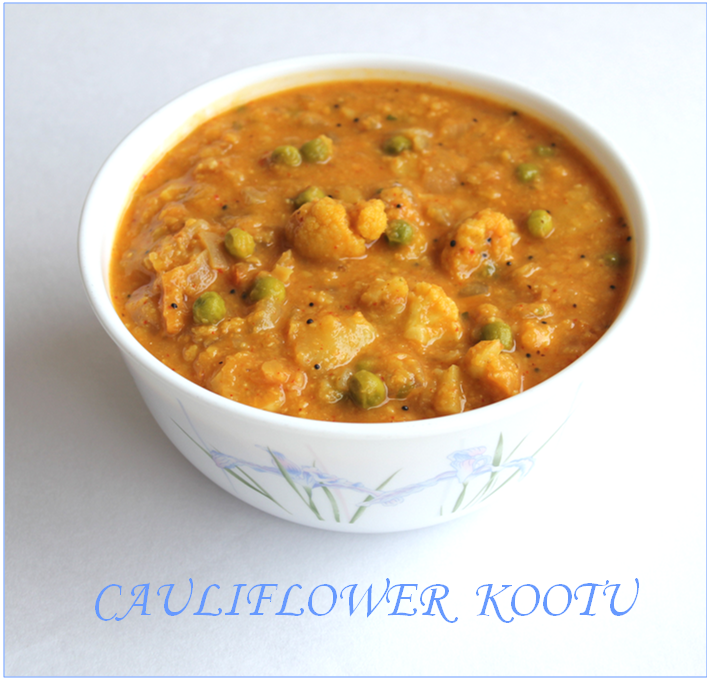 When i have some vegetables left over after making kootu i always end up making this vegetable curry for sambar or rasam.I almost use all the vegetables in the mixed vegetable kootu except the chow chow or Banglore Kathrikkai.This curry is very colourful and tasty and you can either make it with or without coconut. 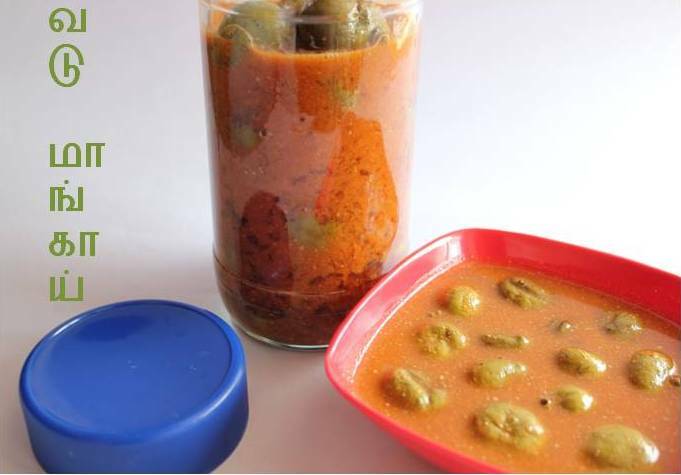 1.Chop the green chillies and extract tamarind water from the soaked tamarind. 2.Heat oil in a pan add mustard seeds when it crackles add green chillies and fry for a minute,add the tamarind water and turmeric powder. 3.Allow it to boil till it thickens.while it is boiling add salt,jaggery and towards the end add asafoetida. 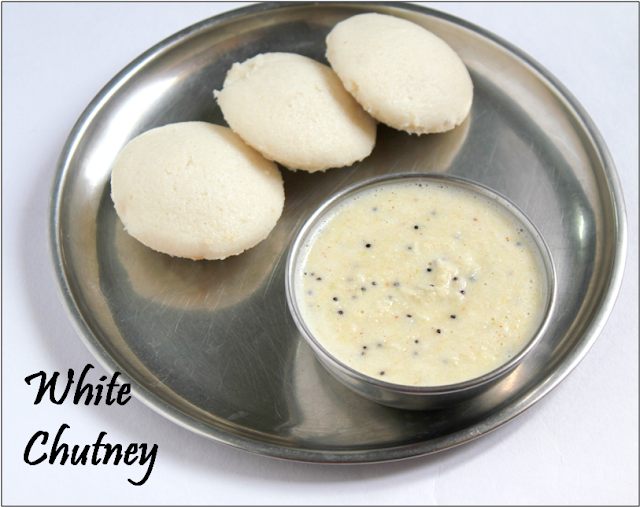 4.Let it cool and store.It goes well with curd rice,dosas and appams. 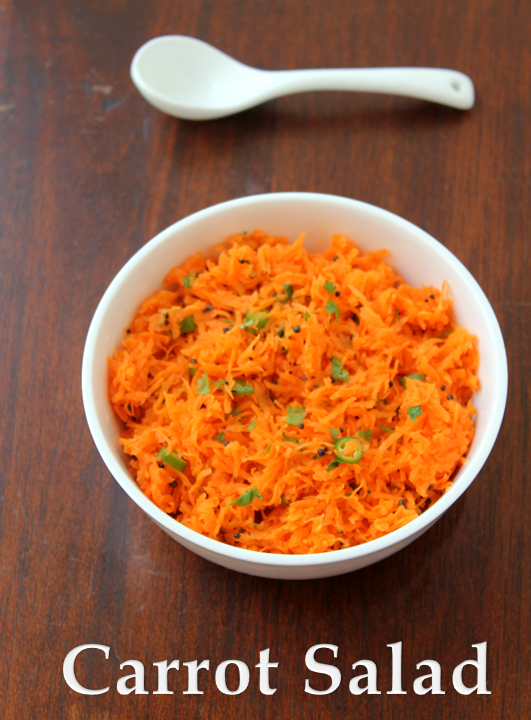 South Indian way of making salads is very simple.This carrot salad is also a very simple one.We call it "carrot uppu pesaral".It is an accompaniment with any kind of south Indian menu like sambhar,rasam,vethakozhmbu,rice etc.Raw carrots is so good for health.If you are not in the mood to cook any accompaniment this salad would come in handy.The tangy taste of lemon and the spice of the green chillies makes it tasty.My kids love this salad and my mother used to make it so often for them. 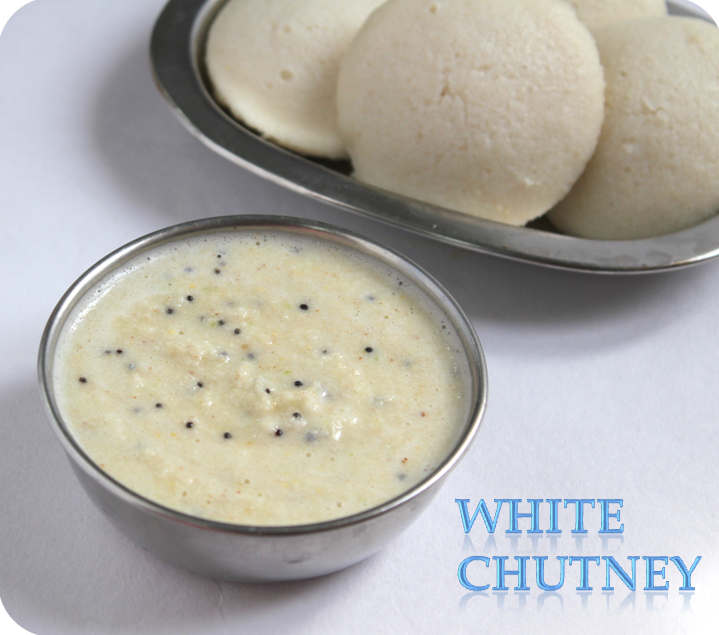 This is the easiest chutney you can make.It goes with idli and dosa.There is no need to cook any of the ingredients in this except to season with mustard seeds. 1.Grind all the ingredients in the mixer. On the request of my friend, i am writing this recipe.Manga thokku is most people's favourite.Now you get mangoes all round the year.Now since summer is approaching mangoes are easily available.I used one big kili mooku manga for this. 1.Roast the fenugreek seeds in very little gingelly oil,cool and powder it.you cannot powder 1/4tsp so make it more and use later.Peel the skin of the mango and shred it into thin small pieces. Heat Gingelly oil in a pan and add mustard seeds when it crackles add the shredded mango and cook for five minutes by then the mango would have become soft. 2.Add Turmeric powder,chilli powder and salt and cook it few more minutes. 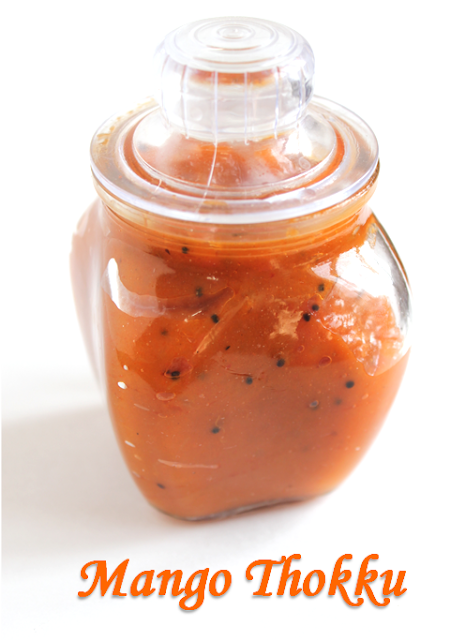 3.Add Asafoetida and jaggery and cook till the oil seperates like in the picture.cool and store in a glass bottle. You can adjust the salt,chilli powder according to your taste. Adding jaggery is optional some people may not like it. If kept in the refrigerator it can be used for a month. 1.Chop and wash the spinach and cook it till soft with salt. 2.Slightly mash up the spinach with the hand beater. 3.Grind coconut,cumin seeds,green chilli and rice flour. 4.Mix it up with curds and add it to the beaten spinach. 5.Heat up the mixture for few seconds without boiling it. 6.Season it with the things given in the table.